You made the decision to turn your dreams into reality. You're loving the freedom of working from home, and your wondering how to start growing your business online. But how do you created a small business website? You don't want to get locked in to expensive web development agency. You don't have a fortune to spend on your website. You want to be smart with your money so you can launch and grow your business. Here are several ideas to help you successfully launch and grow your online business and it all revolves around having your own WordPress website. You might want to become an affiliate for business related to yours. For example, if you sell peanut butter, you might want to strike up an affiliate relationship with somebody who sells awesome jelly. You might have a side website about a topic of your interest, you might have a social networking account or profile, etc. But, whatever your online business is, you need to have a WordPress site that you can manage on your own to promote it. 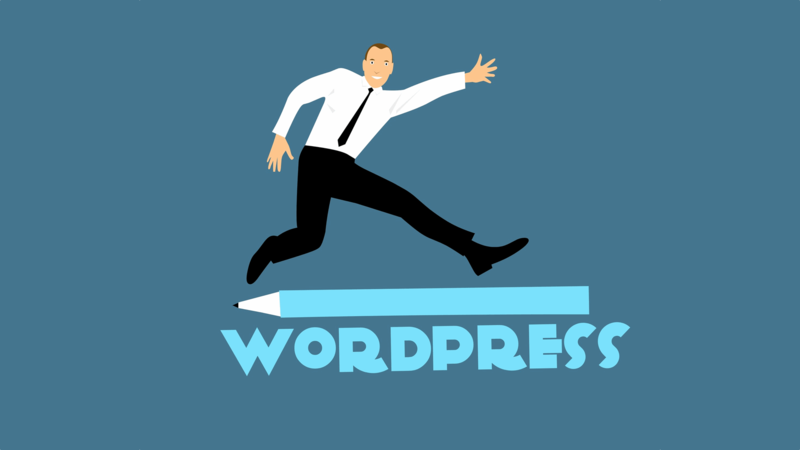 Here are some reasons why you need your own WordPress website to grow your business. First, a WordPress website (and blog) is one of the best interactive tools that you can have for your business. Your blog will allow you to write original posts, which will then be viewed by people who want to learn more about what you're doing. These readers can then comment on what you have written. Giving your readers the power to interact with you keeps them interested and creates warm leads for the products or services you offer through your home business. Second, your WordPress site will help you get established as an authoritative resource in your niche. This is because all search engines—especially Google—love good content, which is what you will be providing. They love the fact that blogs are updated frequently and that they always have original content. People who have an interest in what you are blogging about, will find you; become your social media followers, and these are the people who become your customers and tell their friends about you. Third, WordPress blogs are easy to manage on your own. We will install and configure everything for you. Then we'll teach you how to publish new posts to your blog in a live one-on-one video meeting. Your website will look professional. You will be able to manage it on your own. And, best of all, you will be set up with the tools you need to actually launch and grow your own business. Fourth, when you post to you blog your customers can leave you comments. This will start a conversation where you can educate and help people. In addition, this conversation will create free, valuable, and interesting content for your website. When people comment on your blog, the content is there to help other people who have the same questions. You will find that other experts also comment on your blogs if your original post is good enough. So, it's not just you talking, you're actually starting a conversation and building a community around your own business. Fifth, blogs can be used to generate leads. If you have written an eBook put it on your site as a free download in exchange for an email address. When people want to go download it, ask them to go through a lead capture page where you collect their contact information. You will get their email addresses, and you can follow up with them with a series of emails with more information about the topic of your eBook. If you don't have an eBook, don't worry, you can easily make one on your own. It can be as simple as writing a few pages in Google Docs or Microsoft Word and saving it as a PDF. We can show you how to set up the lead magnet (the email opt-in form) to collect the email address and deliver the eBook. The thing you offer doesn't have to be an eBook. You can give a way other things for free as long as it really is free and is something your visitors would think is valuable. For example, it could be a coupon for their first purchase, a free phone consultation, a free product sample, etc. We will work with you to develop creative and effective ways to grow your business through email marketing. There are many different ways in which your business WordPress website (and blog) can help you reach people, build your online audience, and grow your business.